Silver State Schools’ savings program has helped students in low-income schools tuck away more than $250,000 in five years. 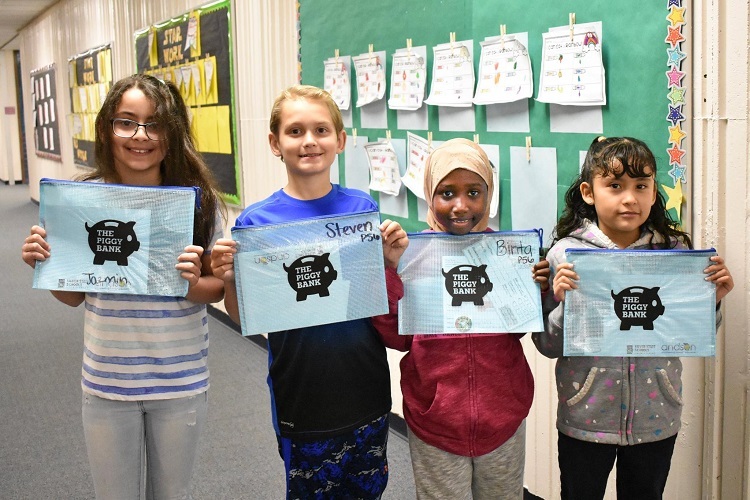 In 2013, Silver State Schools Credit Union partnered with a non-profit to create a savings program that puts real-world financial literacy concepts to the test. In five years, SSSCU has helped students in the Las Vegas area save more than $250,000. 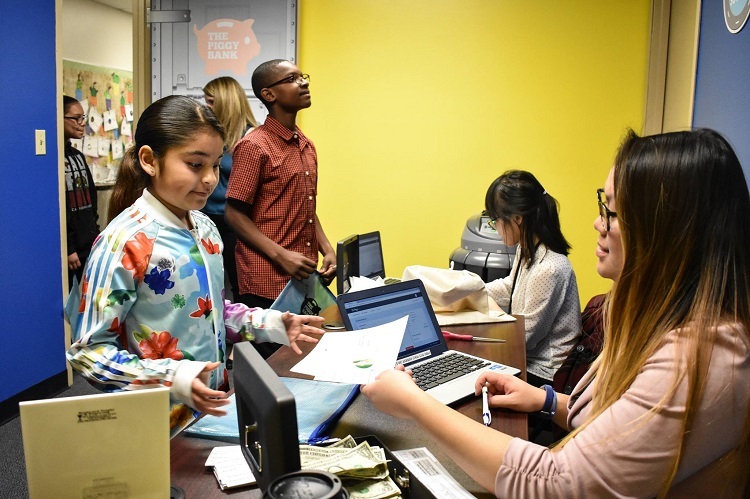 When a financial management non-profit in Las Vegas had the idea to launch a savings program for area schools, it found the perfect partner in another local institution: Silver State Schools Credit Union ($773.6M, Las Vegas, NV). The non-profit, Andson, approached the cooperative in 2013 with the idea to create a program that builds on the in-classroom financial literacy lessons Andson already provides to young people. Because SSSCU is an education-based credit union, the partnership made sense. “It felt like a natural fit,” says CEO Scott Arkills. Las Vegas was hit hard by the Great Recession, and the local economy — which runs on the strength of tipped service workers — is still recovering. Median household incomes lag behind state and national averages. Per 2016 data from the U.S. Census Bureau, the median household income in Las Vegas was $51,115. That trails the state’s median of $55,180 as well as the U.S. median of $59,039. Additionally, the average credit scores of Las Vegas residents, 645, rank near the bottom nationally. The national average, as of 2016, was 673. People there also exhibit some of the lowest rates of financial security. 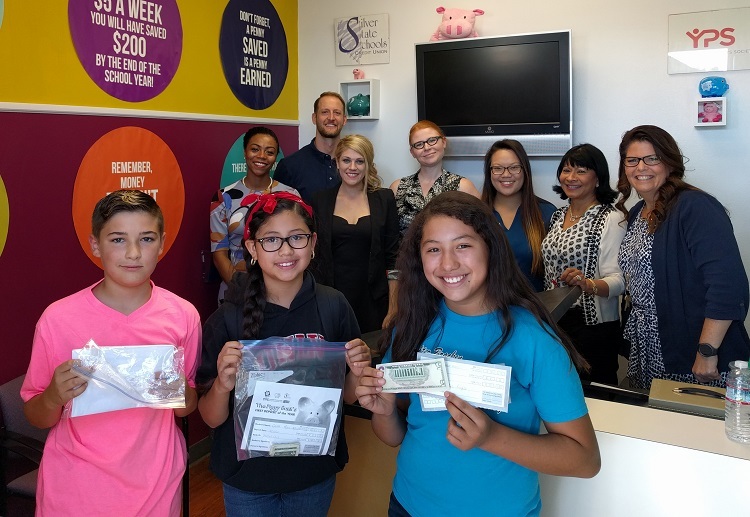 Together, SSSCU and Andson developed the Piggy Bank program, which serves as a real-world complement to Andson’s weekly financial literacy course that covers the basics of personal finance, such as determining needs versus wants, setting savings goals, and learning how interest works. Once a week in one of its five Piggy Bank schools, the “bank” opens for business. The program gives students in grades one through six deposit bags and deposit ledgers and encourages them to bring in any amount they can. “It can be a nickel or twenty dollars or more,” says Rebecca Freeman, SSSCU’s associate vice president of marketing who oversees the program. The program then deposits funds into participants’ own deposit-only accounts. When students enter sixth grade, they can open a real SSSCU membership account or withdraw their accumulated funds via a check. “Instead of us giving another lesson, this is something we can do that applies what students are already learning,” Freeman says. Students preparing to make deposits at Decker Elementary School. One of SSSCU's newest locations is Decker Elementary School. Pictured here on the bank's opening day, SSSCU's business development coordinator, Jennifer Beckwith, works the "teller line". Jennifer Beckwith pictured inside the Piggy Bank Bus at the grand opening day of Dearing Elementary School Piggy Bank. 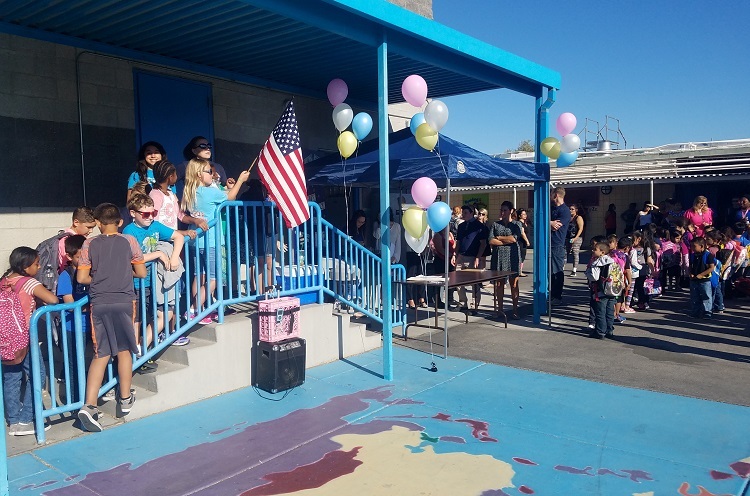 Opening day for the 2016-2017 school year at Bracken STEAM Academy, the first Piggy Bank location and the school with the highest participation. Group shot of Andson and SSSCU employees at the 2016-2017 opening day of Piggy Bank at Bracken STEAM Academy. Thus far, the response has been strong. In January, SSSCU added two Piggy Bank schools to the fold, bringing its total to five, and continues to look for opportunities to increase funding and support. The Piggy Bank program is primarily funded by the credit union’s partnership with Andson — schools do not pay to host the program — but SSSCU continually looks for grants to offset costs. For example, the Federal Home Loan Bank of San Francisco provided a grant for the program in February 2018, says CEO Arkills. 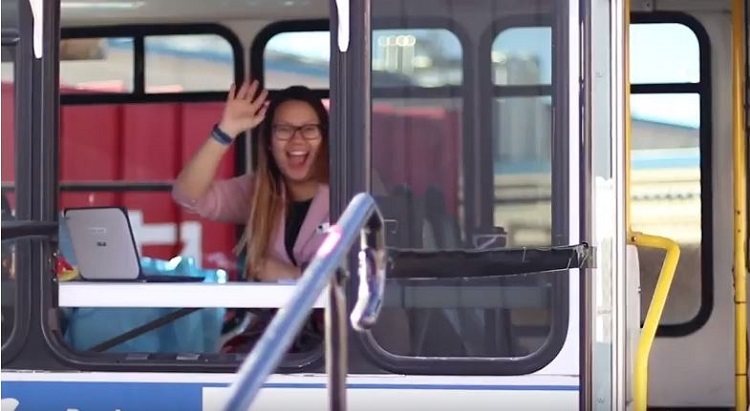 In January 2018, the regional transportation authority donated a retired bus, which SSSCU retrofitted, wrapped with branding, and deployed as a Piggy Bank on Wheels. The bus travels to participating schools to create an easy, mobile-enabled, central location for students to gather and deposit money. It also allows the credit union to offer the program in additional locations. On the support side, SSSC principal and teacher buy-in is essential before deploying the program. The first three schools at which SSSCU offered Piggy Bank shared the same principal, so support was not a problem. And the two new additions had been asking for the program for several years, says Freeman. It’s not difficult to see why there is such enthusiasm. Since 2013, students have saved more than $250,000 though the Piggy Bank program. But even as new opportunities arise, the credit union is conscious of overexpansion. For Arkills, the most fulfilling part of the program is watching a student’s mindset change. For example, at the start of the year they save for a video game. But their goals evolve as they become more literate and aware of their money. They start to save for college, a house, or a car. They grow more confident with their money. Although the credit union ideally would provide that to students across its footprint, it understands the quality of the program looms large. Overextending the offering and losing its value is not an ideal outcome.